Sweet and Mellow is rolling into G&M Farms Corn Maze parking lot for our 6th consecutive season and we can’t wait ! We LOVE this old school, family friendly local event. Look for us weekends in October. Score the perfect pumpkin, test your skills at the Barnyard Blaster and try the NEW Jumping Pillows attraction. We’ll be serving coffee, cocoa, hot and iced signature drinks and a tasty selection of pastries and desserts to power you through the day. FUN !!! Enjoy G&M Farms huge Pumpkin Patch with pumpkins of all sizes – the kids can pick their own! For Mom, there’s fresh produce, decorative gourds and Indian corn. Your little ones will love G&M’s farm animals and the free straw bale maze and corn box. Weekends feature Pony Rides, Pedal Carts, The Barnyard Blasters, and our NEWEST attraction Jumping Pillows! Plus don’t forget to ride G & M Farms famous Cow Train! 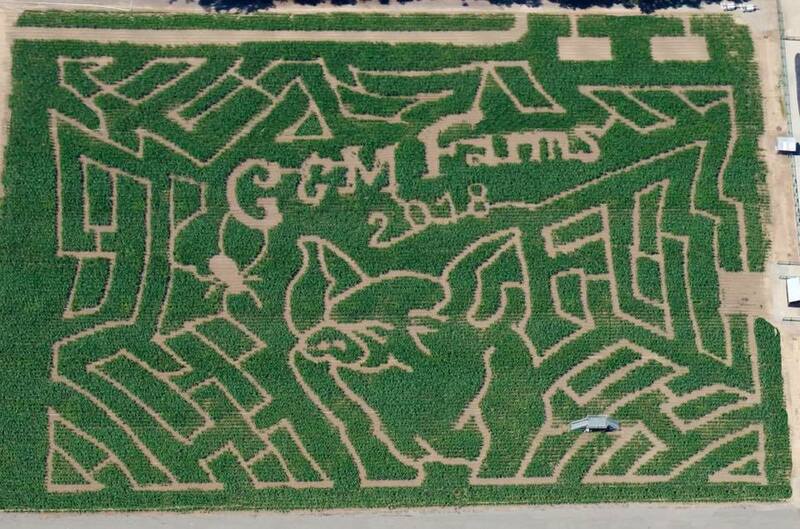 G & M Farms Pumpkin Patch was voted Best Seasonal Attraction in the East Bay by Diablo Magazine, and when you see it, you’ll believe it! G&M Farms Cornfield Maze and Pumpkin Patch was voted Best Seasonal Attraction in the East Bay by Diablo Magazine.